Take a look at the electoral map, and you’ll see why. President Barack Obama starts the general election with a sizable electoral vote lead over Romney, looking strong in states totaling 247, while Romney has a strong edge in states totaling 191. It takes 270 to win. And if Romney can’t narrow Obama’s considerable lead among Latino voters, key battlegrounds including Nevada, New Mexico, Colorado and Florida could be out of reach for the Republican nominee. Even reliably Republican Arizona could wind up in play, and Obama already has five campaign offices there. 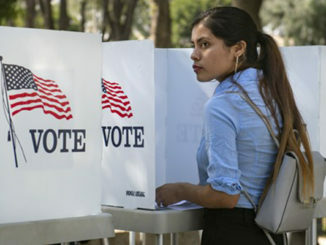 An April Pew Research Center poll found the president leading Romney among Hispanics 67 percent to 27 percent. That’s similar to the 67 percent to 31 percent margin among Hispanic voters that helped Obama handily beat John McCain four years ago. Romney is coming off a bruising Republican primary where, except in Florida, he has done little outreach to Hispanics. While polls show immigration is not a top issue for Hispanic voters, the former Massachusetts governor did not help himself by positioning as the toughest candidate on illegal immigration and undocumented residents. He called Arizona’s immigration law a national model and said he would veto a DREAM Act that provides a pathway to citizenship for children of illegal immigrants if they serve in the military or go to college. He advocates self-deportation — essentially making life so difficult for undocumented residents that they see little option except to leave the country. The Obama campaign is spending hundreds of thousands of dollars advertising on Spanish language TV stations in Colorado, Nevada and Florida. But neither the Romney campaign nor the conservative political groups paying for pro-Romney ads has bought any time on Spanish networks. The landscape is not necessarily as grim for Romney as it appears, however. 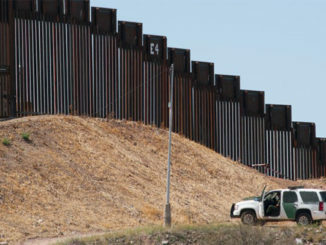 National polls in recent months have shown widespread dissatisfaction among Hispanics with Obama’s record on immigration reform, deportations and the economy. An earlier Pew poll found nearly six in 10 Hispanic households reported someone out of work in the past year. “Hispanics are shopping around,” said Jennifer Korn, executive director of the Hispanic Leadership Network and Hispanic outreach director for the 2004 Bush-Cheney campaign. A presidential election is not about winning a national popularity contest, but about properly putting together the puzzle. Given the 270 electoral votes it takes to win, Obama currently has numerous plausible paths to a second term, while Romney’s paths seem much more limited. Based on current polling and past electoral performance, Obama has 19 states plus the District of Columbia — 247 electoral votes total — solidly behind him or leaning that way. Romney has 23 safe or leaning states, or 191 electoral votes. That leaves eight states — Florida, North Carolina, Virginia, New Hampshire, Ohio, Iowa, Colorado and Nevada — with 100 electoral votes as the central battlegrounds. So Obama could lose Ohio and Florida and still have multiple paths to 270. But if Romney loses Florida, his only shot at winning would be to pick up a big state that hasn’t voted for a Republican president in years, such as Michigan or Pennsylvania. The battlegrounds and electoral map are almost certain to change in coming months, and there’s every possibility that many of the states will swing dramatically one way or another come October. The Hispanic vote is one of the most critical obstacles Romney faces. 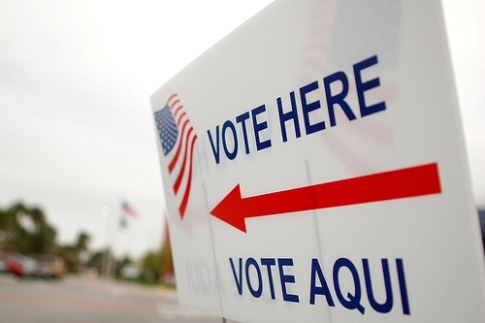 Hispanics account for at least 13 percent of the electorate in New Mexico, Nevada, Colorado and Florida. Polls show Obama currently ahead comfortably in each of those states except Florida, where polls show a dead heat. New Mexico: Latinos account for 46 percent of the population in New Mexico, where the average of the latest polls favors Obama by at least 14 percentage points. Obama has six campaign offices there. A conservative group, Restore Our Future, is spending more than $4 million in TV ads in battleground states including Colorado, Nevada and Florida, but not New Mexico. That’s a sign Republicans may see it as out of reach. Colorado: About 13 percent of the state’s registered voters are Latino, and in 2010 Democrat Michael Bennet won his U.S. Senate race in large part by winning more than 8 in 10 Hispanic voters. Obama has 13 campaign offices in Colorado, where one poll last month showed a tied race and another showed Obama leading by 13 percentage points. 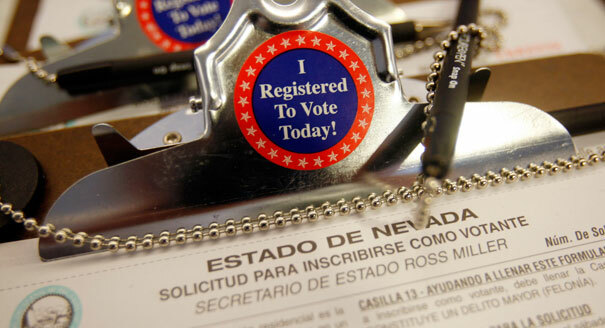 Nevada: About 14 percent of Nevada’s registered voters are Hispanic. Republican Gov. Brian Sandoval in 2010 became the first Hispanic elected to statewide office, though he won only 33 percent of the Hispanic vote — still much better than the 20 percent won by McCain in 2008. The last two public polls show Obama leading Romney by 8 percentage points. Florida: This is the only state where Romney had a significant number of Hispanic voters in his Republican primary, and the latest polls show a neck-and-neck race with Obama. A Quinnipiac University poll released last week found Obama leading with Hispanic voters in Florida, 58 percent to 30 percent, but still trailing Romney overall by 1 point. Obama has 27 campaign offices running, while Romney is just starting to ramp up here. Obama won Hispanic voters in Florida with a 57 percent majority in 2008, about the same margin George W. Bush earned in 2004. Florida is a more complex mix of Hispanic voters, with one third Republican-leaning Cuban-American, 28 percent Puerto Rican and 9 percent Mexican. Korn of the Hispanic Leadership Institute points also to Virginia, where the Latino population grew more than 90 percent between 2000 and 2010, as a state where Hispanic voters could deliver the vote, though they still account for less than 5 percent of the electorate. Republicans say Romney has a strong story to tell Hispanic voters and some potent surrogates to make his case, including Florida Sen. Marco Rubio, Nevada Gov. Sandoval and New Mexico Gov. Susana Martinez. “Gov. Romney is in a stronger position with Hispanics than the Obama campaign would like people to believe. Gov. 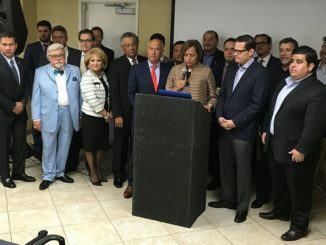 Romney had strong performances in states with large Hispanic populations like Florida, Arizona and Nevada,” said Republican consultant Alberto Martinez, a Romney adviser in Florida.